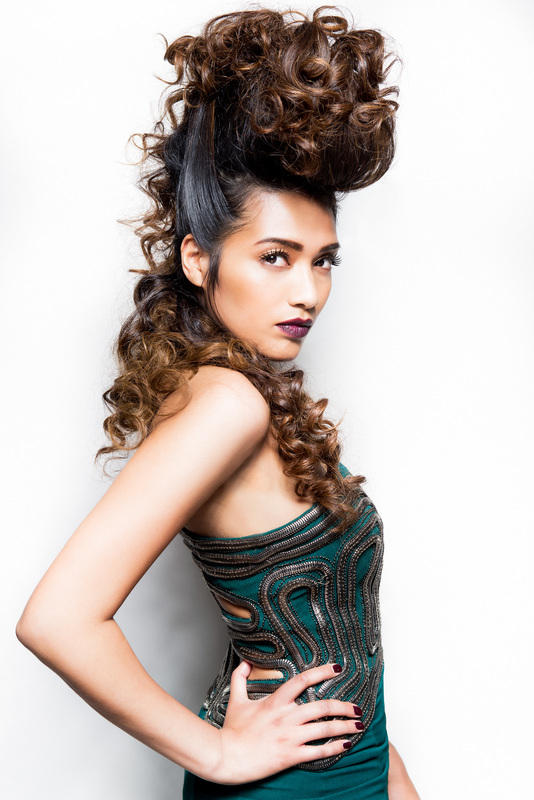 Pro Hair Live – The Photoshoot! After the huge success at the Pro Hair Live event the styling team of Siobhan, Alfie, Emma and Catherine went and the reigning King of Balayage Jack Howard, came back to the salon to do a photo shoot. The photographer was Jay Mawson and the results were… fabulous. Think quiffs are just for boys? Think again. But lets not forget Andrew! The gentleman who escorted the ladies on and off stage! Proving that highlights on men don’t necessarily mean you immediately and irrevocably look like you have escaped from Wham! Hand painted highlights that are simply applied at the backwash area. These are an super speedy natural highlight. A service that we often provide for our customers, both male and female. For reckless braided updo by Siobhan book now! For a red carpet look whatever the occasion by Catherine book now! For natural curly blonde fabulousness by Alfie book now!